So we have all heard the experts sing the praises of SEO strategies but how big a difference will it make if you are a couple positions higher in search ranking. Well it could be a whole lot more than you think. A recent study from ad network Chitika states that the number one position receives 33 percent of the traffic from searches. Meanwhile the second position gets only 18 percent, third goes down to 11 and if you are lucky enough to be 10th you may not even get 3 percent. The news doesn’t get much better if you are not even showing up on the first page of results. While the first page receives 92 percent of all the traffic from searches, it drops down to about 5 percent for the second page. Any lower and you’re probably around one percent or less. Some people will may automatically say that these numbers don’t tell you much because they only focus on the traffic brought in from searches. Traffic only tells you people are visiting the site but not if these visits are resulting in sales. They may worry that you will move up in ranking and see a boost in visitors but not see any resulting sales. 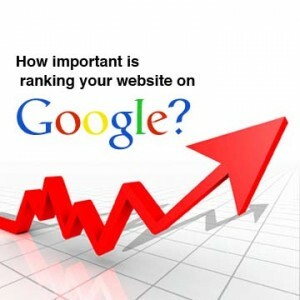 However, part of an overall SEO strategy is keyword research. This means researching to find out what search terms consumers are using to find businesses like yours. The point of this practice is to end up in more focused searches for the products and services that you offer. If you are targeting the right keywords you should not be showing up in irrelevant searches that can account for boosted traffic without sales. Before you decide on whether or not you need to start employing some SEO into your website marketing consider this fact. If you are showing up on the second page of a Google search, you have already lost out on 92 percent of your potential market.